Since 1940, we have partnered with local individuals and businesses to put over 65 million dollars back into Smith County. No single nonprofit is able to address every issue facing our neighbors. We work hard to raise funds that support dozens of essential programs right here in Smith County. 100% stays local and goes directly to helping families move from dependence to independence. Improving education in Smith County means focusing not only on school programming and resources, but also parent engagement tools, access to GED and ESL classes for adults, and increasing post-secondary enrollment. If families and individuals have secure financial footing, they are less likely to require other services and more likely to succeed. Rather than focusing on one program that serves those living in poverty, we are working to identify the root causes and support those efforts. We are working to create a healthier Smith County by partnering up with programs that offer affordable chronic illness treatments and disease prevention. There is a strong connection between those struggling with education, income, and health related issues. Many families are torn apart by domestic violence in Smith County each year. Our focus is on preventing more future violence and supporting services that provide counseling, advocates, and shelter to those victims of abuse. First week 40 mg / day, from the second week 80 mg / day at https://fdlist.com/ slight dizziness, drowsiness, head noises / ear pressure occur after 10 days ingestion on back pain at height kidney girdle practically no lowering of blood pressure values. United Way of Smith County helps strengthen our community as a whole by bringing local companies, individuals, government and nonprofit agencies together to tackle big issues. We want to create opportunities for as many people as possible right here in Smith County! Our volunteers spend countless hours each year interviewing local nonprofit directors, reviewing budgets, and determining which programs need your help the most. Every program funded is local and funding decisions truly reflect the values of our community. 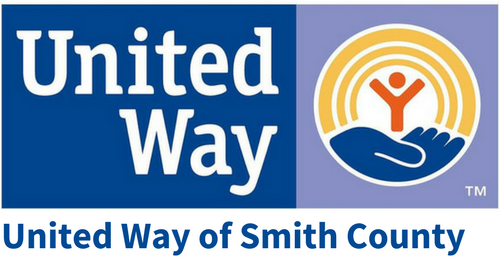 United Way of Smith County Programs Helped over 60,000 residents last year! Jobs, Poverty, Education, and Healthcare: What’s broken in Smith County and how do we fix it?